Not exactly what you want? Post a quick Buying Request! Irish Natural Stone Design are proud to introduce a brand new concept in paving. Based on the Irish cobbled pavements of past times, we use Irish limestone to produce cobbles enabling you to create a rustic effect in any setting. Perfect for both small areas in individual gardens and larger architectural projects. 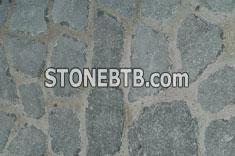 Company Name :Irish Natural Stone Inc.